Cllr. 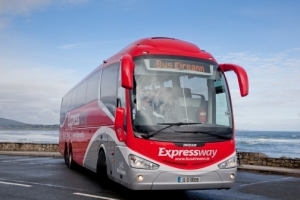 Ted Tynan of the Workers’ Party has deplored the decision by the National Transport Authority (NTA) to privatise yet more routes operated by Bus Éireann and said that instead the NTA itself should be abolished. Cllr. Tynan said that since its inception the NTA had shown that it was only interested in pursuing an ideologically driven agenda of privatisation. He said: “The NTA’s statement that its further privatisation decision would lead to better services for commuters is a blatant lie and this is borne out by evidence from abroad where publicly run transport is shown to attract more commuters than where transport is privatised”. “It’s handling of the Dublin cross city LUAS and the disruption this caused shows the this Thatcherite quango is as good at running public transport as Basil Fawlty was at running a hotel”. The Workers’ Party calls for the abolition of the National Transport and the transfer of its functions to the CIÉ holding company which is the way that most European public transport is run such as in Paris where the RATP is both the regulator and operator of all public transport .